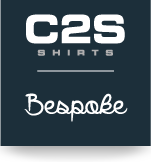 C2S bespoke, a service for retailing professionals. Your success is our satisfaction. This is why we can support you and give you advise to enhance the value of a tailor made shirt.